and custom experiential engagement workshops. accountability to organizations to instill the desired culture. Why choose Just Think Hospitality? 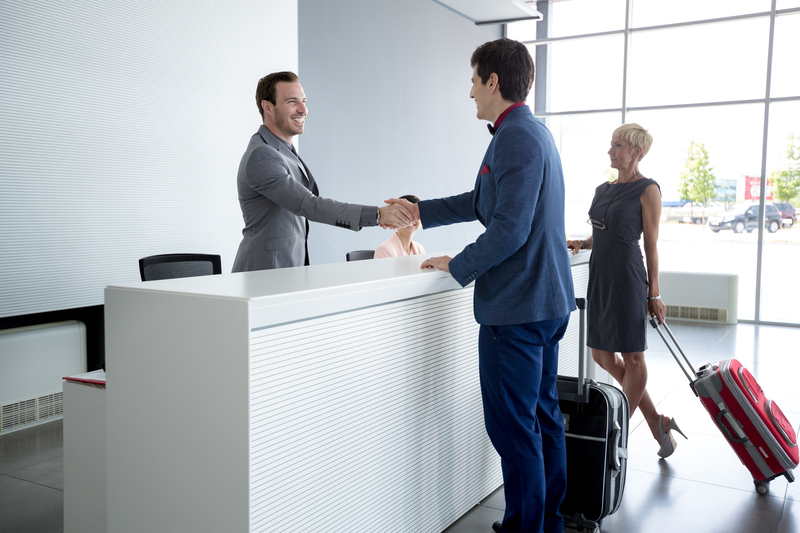 to yield a more engaged guest experience. A cohesive leadership team that is aligned and committed to a service culture that accelerates results, translates into higher financial effectiveness. Employees who are connected by the work that they do are engaged, motivated and build authentic relationships with guests which leads to guest loyalty. turnover, increased retention and improves succession planning. An organization with exceptional communication, overall enhanced efficiency and consistency will result in higher profitability. Engaged guest experiences result in higher guest satisfaction scores and loyal guests who will tell their circles of influence and will return spending more money. send us an email and we’ll call you. "There is no one better to partner with than Just Think Hospitality when it comes to building a culture of hospitality. Michelle and her team have both an understanding of operations and creating a client facing culture; instantly those skills set JTH apart from others. It is a joy to listen to team members put their skills to practice; indicating clearly that JTH has had an impact on The New Jewish Home client experience." "In the past seven years I have had the opportunity to work with Michelle in several capacities that have allowed me to see her competencies shift and develop. Michelle is truly committed to the hospitality industry and has an innate understanding of the needs of all stakeholders. Michelle immediately personifies the environment she is working in, she develops relationships quickly and gains the trust of those around her instantly. see her competencies shift and develop." "Michelle is a passionate, results-driven coach. She brings out the best in people, and is unafraid of taking on big challenges. Her professionalism, attention to detail, grace under fire, and genuine concern for others shines through in all that she does, and her consistent track record of delivering superior performance speaks for itself. Choosing to have Michelle coach you or your team is a smart decision - and an easy one."